This is one of those incredible stories that could be made into a mystery film. The protagonist is Vivian Maier, an intensely guarded and private person. 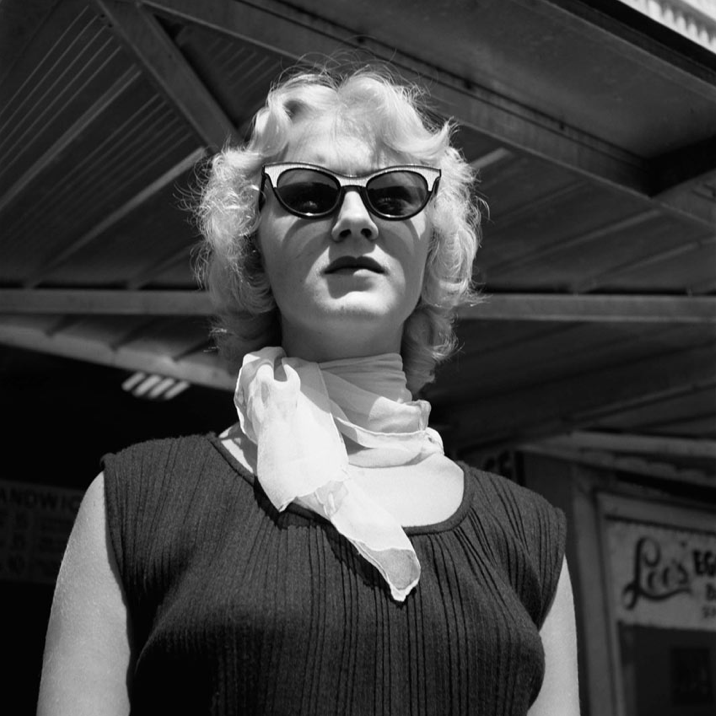 Vivian, was a nanny by day and secretly photographed details of city life, from the ethnics to the destitute to the glamorous in Chicago and the Big Apple in her spare time - what we now call streetstyle photography. The interesting (and mysterious!) thing is that of the 100,000 pictures she took in her lifetime, between the late 50's and the early 90's, most of them never saw the light of day.Vivien Maier died in poverty and her talent unrecognised until her work was discovered at a local thrift auction house in 2007 in Chicago by an unknowing buyer who purchased a locker and it's undisclosed, precious content. The negatives of thousands of films are currently being developed, archived and cataloged for the enjoyment of the wider audience, you can see some pictures here, and this is one of my favourites.